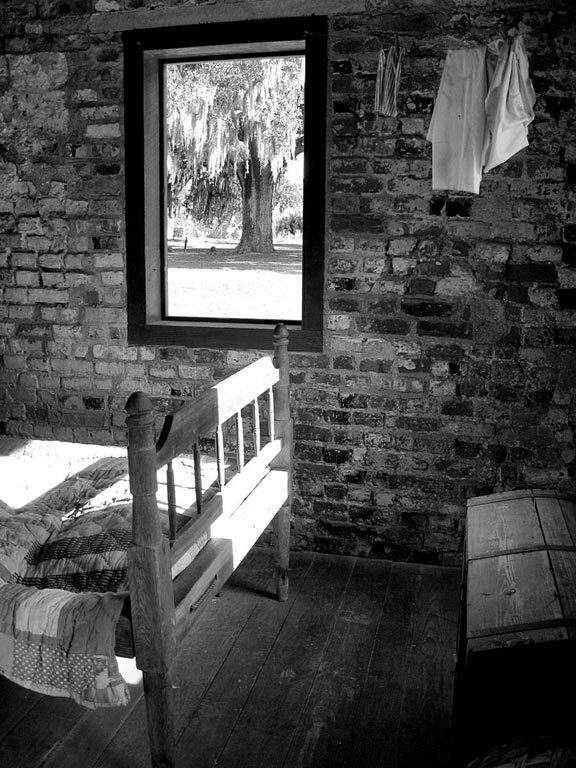 Brandon Coffey has contributed over 200 photographs to SouthCarolinaPlantations.com (SCIWAY's public repository of SC plantation history), but until recently, we didn't know much about him. When we finally managed to meet the man behind the camera, we found someone much different than we expected. A few years ago, someone named Brandon Coffey started sending us pictures of plantations around the state. One week he'd send us shots from Colleton County; the next week it'd be Calhoun. As the photos rolled in, the wheels of our imagination started to turn. Who was this masked man? In our minds, we envisioned an elderly gent – dapper, debonaire. A retired professor now touring the state at his leisure, he was a guest of honor at family reunions and barbeques. Sporting seersucker and a southern drawl, he obviously came complete with a Cadillac and a silver-tipped cane. A regular Walter Edgar, we even endowed him with a bow tie and a boutonniere! Eventually we decided we owed the guy lunch. After all, his pictures were becoming the stars of our site. We suggested a quiet restaurant and showed up at the arranged time. Then we waited. And waited. But the only person we saw was some young kid in shorts and a t-shirt with shaggy hair and tattoos. And thus we came face-to-face with one of South Carolina's most surprising historians, a marvelously complex and refreshingly anti-aristocratic 27-year-old who, with a hearty handshake and almost unnerving honesty, is slowly winning the hearts of landed gentry across the state. When he's not rambling about the countryside, making friends with old people and millionaires, Brandon takes time to enjoy music and the absurdity of reality TV. (He calls Real Housewives "gold.") He also loves animals, and his family has rescued a horse and two dogs. Brandon got his start here, at Strawberry Chapel in Cordesville, when he was just 13. Too young to drive, he rode shotgun with his mom. Close friends, they've been traveling together ever since. Brandon laughs and says, "It's probably just so she can admire the antiques." As long as he can remember, Brandon has been interested in history – but not the kind found in museums. Instead, his true love centers around the supernatural. In fact, Brandon's passion for plantations is actually a by-product of his first love – ghost hunting. He was just 13 when he made his first trip to Strawberry Chapel in rural Cordesville. (Not yet old enough for a license, he had to get his mom to drive.) Friends at school told him the chapel was haunted, and during his visit he learned of a young girl named Catharine Chicken whose ghost is said to roam the graveyard at night. Intrigued, Brandon decided to learn more. He found a vintage 1925 edition of Little Mistress Chicken online and discovered that a portrait of Catharine still hung in her old house at Middleburg Plantation in Huger. Scouring newspaper archives, Brandon managed to locate the owners. "Much to my surprise and excitement, they welcomed me with open arms." Through the years, Brandon has maintained a unique friendship with the owners, who have handed him the keys on several occasions and allowed him to stay overnight. Middleburg, which dates back to the late 1690s, is the oldest wooden plantation home in South Carolina. Isolated at the edge of the Francis Marion National Forest, it couldn't have been spookier. "When you shut off the lights," Brandon recalls, "it was complete darkness. The house made a lot of strange noises, and it was just a really creepy experience!" 65 Plantations – And Counting! From then on, Brandon was hooked. "I fell in love with plantations and history after that. [At first] I focused mainly on Berkeley County because that's where I lived, but eventually, I branched out. I would love to revisit the old places because a lot of times, when I was younger, I either didn't take a whole lot of pictures or I had a crap camera." What's next on his list? Right now, Brandon has his sights set on Tibwin Plantation in Awendaw and Comingtee Plantation on the Cooper River in Berkeley County. The shell of the old house at Comingtee still stands, but par for the course, Brandon's primary purpose is actually to hunt down an ancient oak called the Old Robintation Tree. Tommy John Plantation in Beaufort is one of at least 65 South Carolina plantations Brandon has visited so far. This house was originally built at present-day Cypress Gardens in Berkeley County, but it was moved to its current location in 1971. The elusive Medway Plantation near Goose Creek has stymied Brandon since he was a young teenager. Recently purchased by a new owner, we hope Brandon will soon have the chance to photograph the home at his leisure. Since he's visited so many of our state's secret spots, we couldn't help but wonder which Brandon likes best. As his first, Middleburg naturally holds a special place in his heart. But his favorite, he confesses, is actually one he's never been inside. Brandon calls Medway Plantation in Goose Creek his "nearest and dearest." Then he adds, "It's also the one that's told me 'no' the most, so that could have something to do with it." The house at Medway is the oldest brick dwelling in South Carolina – and one of the few built in a Dutch architectural style. Dramatically different from other plantations (no clapboard siding, tin roof, or double veranda), Brandon has been trying to get inside the place for years. He contacted the former owner multiple times, but she refused to call him back. He wasn't even able to set foot on the grounds until 2005, when he finally forked over the money for a paid tour. Sadly, that experience left a lot to be desired. "We basically just sat in front of the house while they told us about the history – it was pretty lame. When they left to tour the gardens, I snuck off to see the other sides of the plantation. I got in trouble, and the pictures didn't turn out too great because I had to snap them so fast!" While it's probably obvious by now, we think it is important to note that Brandon has no connections to any of the plantations he visits. No formal introductions, no friends-of-friends. Eager to know how some kid from North Charleston is able to gain access to some of South Carolina's most exclusive residences, we asked him how he pulls it off. A bit surprised, Brandon answered immediately: "I just ask. I've never been intimidated by wealth. I don't care how much money someone has – they're no different than you or me. They might own the plantation, but the history belongs to everyone in South Carolina." That said, Brandon is also quick to acknowledge his gratitude: "What surprises me most about visiting these private places – complete stranger's homes – is that the owners were more than willing to share their property with me and tell me all about the places when I visited. I have met some very warm, gracious people in my explorations over the years, who always were equally surprised that I even cared because I was so young. Honestly, I expected to be told 'no' every time I inquired about visiting a new property, but thankfully I have only been told 'no' two or three times." The secret to his success? Direct and delightful, with the mouth of a sailor and the manners of a gentleman, Brandon never turns down the chance to walk with someone along a forgotten path, and he always takes time to share a porch swing. With a deep appreciation for history, he has formed lasting friendships with many of the owners he's met, most of whom are three times his age. Summing things up in his typical no-nonsense style, Brandon says, "Sometimes I feel like I just have more in common with them than I do people my own age – and they're usually a lot more interesting too!"